In the second part of our series introducing Finns and Finnish-Americans in different states, we take a look at Colorado. In the late 19th and early 20th century only very few immigrants came directly to Colorado from Finland. Typically, they had first stayed in the East Coast cities or in the Great Lakes area for a year or longer before venturing out west. Upon arrival in Colorado Finnish immigrant men generally became miners and many also engaged in labor union activities. Mining communities such as Leadville and Telluride had hundreds of Finnish men working in gold and silver mines. Many of them first worked on building a rail road from Denver to Leadville. When mining jobs became fewer and fewer, most Finns moved on to other states but some managed to find other employment and stayed. Nowadays the majority of Colorado Finns are based in the cities along the I-25 corridor – Fort Collins, Boulder, Denver Metro, and Colorado Springs. Some are living in the small ski resort towns in the mountains and in Grand Junction near the Utah border. Colorado Finns are typically well educated and work in a variety of fields including architecture, aviation, business, construction, education, health care, real estate, technology, and tourism. Many of the long term residents are entrepreneurs. 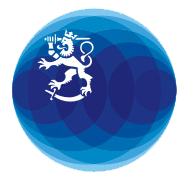 University of Colorado, University of Denver, Colorado State University, and Colorado School of Mines typically have a small number of Finnish students and researchers. National Renewable Energy Laboratory (NREL) also employs some Finns. Four seasons with more the 300 days of sunshine annually make Colorado’s climate very attractive for Finns! Where to learn Finnish in Colorado? Besides some private teachers/tutors, presently there is no formal Finnish language teaching available in Colorado. Recently, the University of Colorado in Boulder offered Finnish in its Nordic Studies program. Subject to demand and funding, they may be able to offer Finnish again in the future. Unfortunately, there is no Finnish Chamber of Commerce in Colorado. However, the Swedish-American Chamber of Commerce, Global Chamber, and South Metro Denver Chamber all operate in the state. They are all willing to assist and invite Finnish companies to their membership. The most famous Coloradoan (in his late years) with Finnish heritage is said to be “Buffalo Bill” or William Fredrick Cody, one of the Wild West’s most legendary characters. Supposedly Cody’s grandfather Viljami Kotilainen had moved from Liminka, Finland to America where he shortened his name first to Koti and later to Cody.